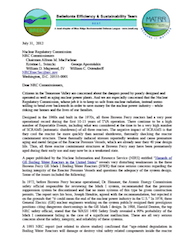 Please send a letter to the U.S. Nuclear Regulatory Commissioners letting them know you are concerned about the safety of nuclear power plants in our country. Thanks. If you can see this, your browser does not support iframes! 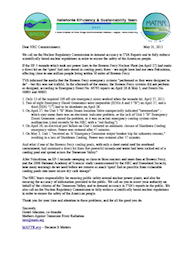 Please visit http://www.bredl.org/alerts/NRC_BEST-MATRR.htm to send letter. so that they can learn from MATRR.org as well.